Who doesn't like ice cream? 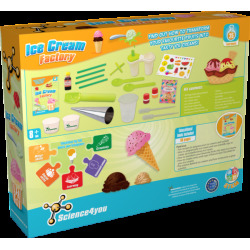 With the Ice Cream Factory of Science4you, you will be able to transform your favorite fruits into tasty ice creams! You will learn how to prepare ice creams, sorbets, biscuit cones and delicious chocolate. 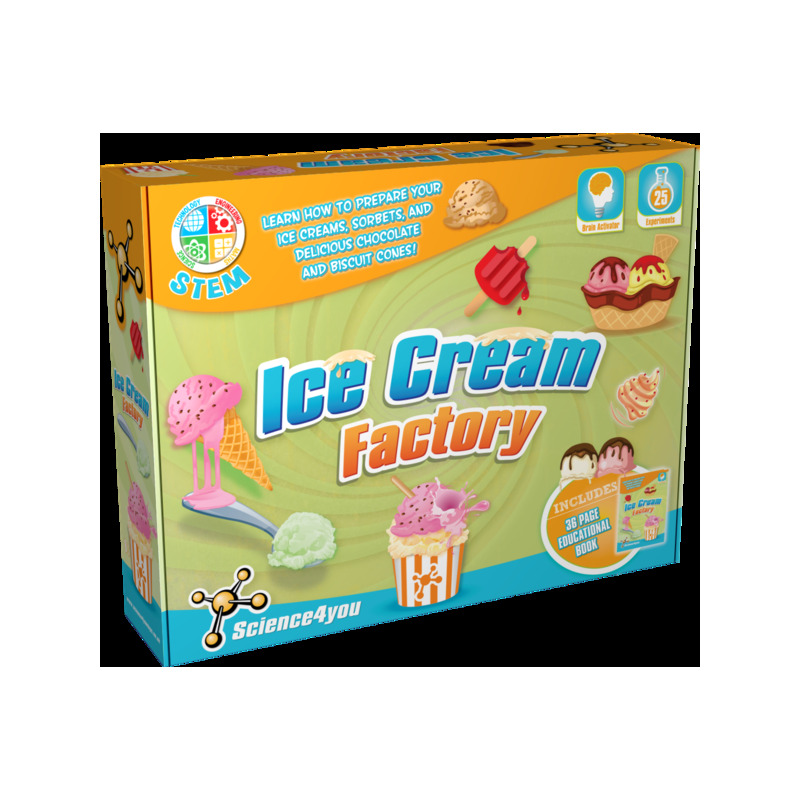 Become a science cook with the Ice Cream Factory! Fun recipes to prepare your own ice creams and sorbets. How to prepare jelly ice cream and use scientific tips to create instantaneous ice creams. How to transform your favourite fruits into tasty ice creams. How to create cones and cups of biscuit and chocolate for your ice creams. 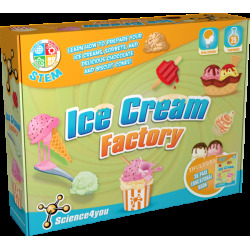 The science behind ice creams and how to become a great scientist. 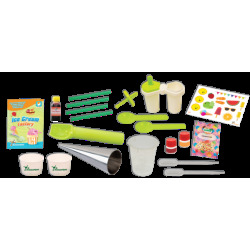 This toy also includes up to 25 experiments for kids as well as an educational book with 36 pages.